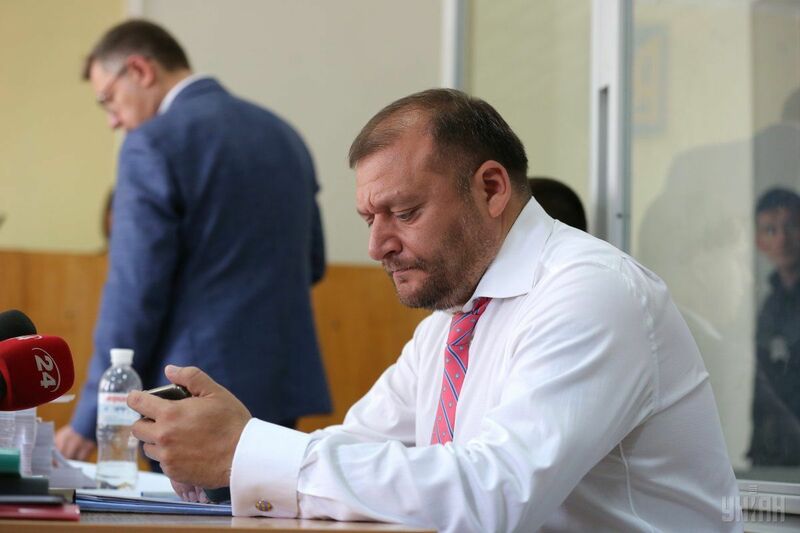 Kyiv's Pechersky district court ruled on July 15 that former ex-Mayor of Kharkiv, incumbent Member of Parliament from the Opposition Bloc faction Mykhailo Dobkin should be remanded in custody until September 14 and granted bail set at UAH 50 million, or over US$1.9 million. "A preventive measure in the form of custody until the deadline for a pretrial investigation expires on September 14, 2017, inclusive, should be applicable to Mykhailo Dobkin," the judge said read out the verdict. As UNIAN reported earlier, the Verkhovna Rada, Ukraine's parliament, on July 13 voted for stripping Dobkin of parliamentary immunity, his detention and arrest. Read alsoUkraine's parliament gives the thumbs up for arrest of MP DobkinDobkin, the former governor of Kharkiv region (2010-2014) and ex-mayor of Kharkiv (2006-2010), is suspected of conspiracy of a group of persons for abuse of office and assistance to fraud in order to get ownership of 78 hectares of land in Kharkiv worth more than UAH 220 million, or US$8.5 million. He also was chairman of the Kharkiv regional organization of ousted Ukrainian President Viktor Yanukovych's Regions Party. The party mutated into the Opposition Bloc after the Revolution of Dignity. Dobkin was elected MP twice – in 2002 until 2006 and in November 2014 until now. A motion for the parliament's consent for Dobkin's arrest was put forth by the Prosecutor General's Office of Ukraine. Prosecutors insisted on setting bail at at least UAH 150 million, or about US$5.8 million. Dobkin, in turn, denies all the accusation, insisting that Kharkiv City Council did not take unlawful decisions when he was mayor. He said he would appeal the ruling, insisting that his case is politicized. He also said the bail would be put up for him by members from the Opposition Bloc.